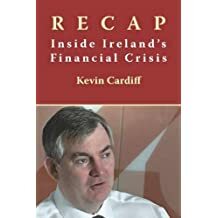 Kevin Cardiff was a senior official in the Department of Finance of Ireland during the worst periods of the global financial crisis that started in 2007, and was appointed by the Government as Secretary General of the Department in February 2010. As Ireland was swept up in an economic tsunami that lasted for years, Cardiff was centrally involved in the battle to save the banking system, and later the State itself, from bankruptcy. His very detailed and open account of these times made him a key witness at the Irish parliamentary inquiry into the banking crisis. This book is his account of those times: the pressures, the key incidents and the personalities involved. He discusses in detail the big questions that faced the State, the difficult choices that had to be made, and how and why they were made. This account concentrates particularly on the period around the controversial decision announced after a long night of deliberations on 30 September 2008, to guarantee most of the liabilities of the main domestic banks, and on the months of deliberations and negotiations before and after the launch of the €85 billion EU/IMF rescue programme. This book should be read by anyone interested in the financial crisis and in the nature of Government in a crisis, both for its personal insights and as an important contribution to documenting Ireland’s economic crisis. Copies can be obtained from booksellers, direct from the publisher, Liffey Press, or from the usual online sources, such as Easons, Waterstones, Amazon, BookDepository.com, etc. Some of these will deliver free. An electronic edition is available on Amazon, ebooks, etc. "candour and colour that run contrary to the popular image" ... "Cardiff's recollections of the bank guarantee and bailout ... are still among the most valuable accounts"
"a fascinating insider’s account of the complex, intensive and tense negotiations"